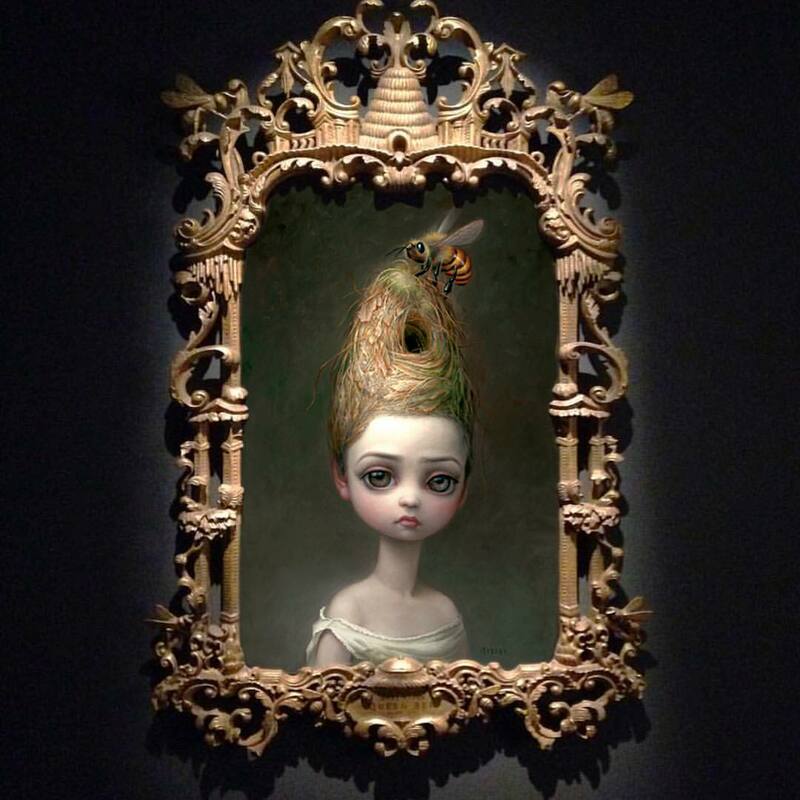 Blending themes of pop culture with techniques reminiscent of the old masters, Mark Ryden has created a singular style that blurs the traditional boundaries between high and low art. 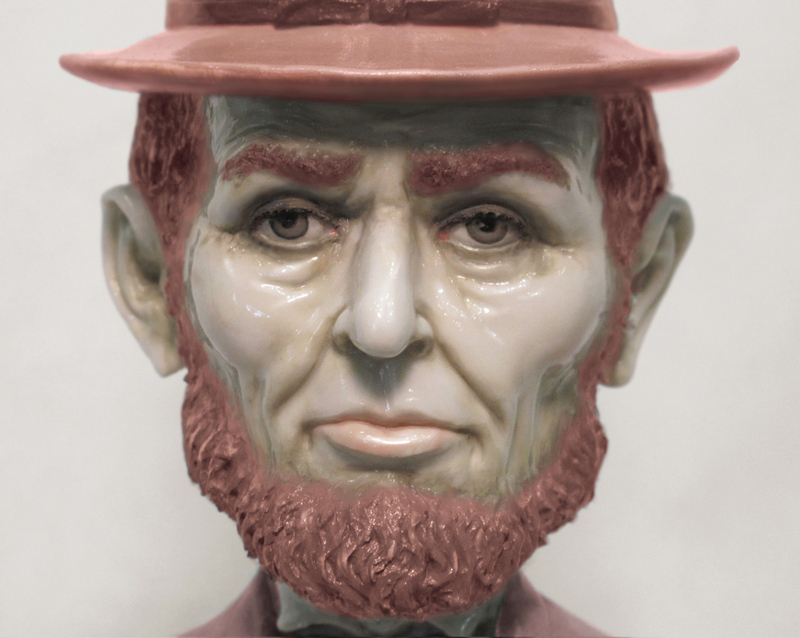 His work first garnered attention in the 1990s when he ushered in a new genre of painting, “Pop Surrealism”, dragging a host of followers in his wake. 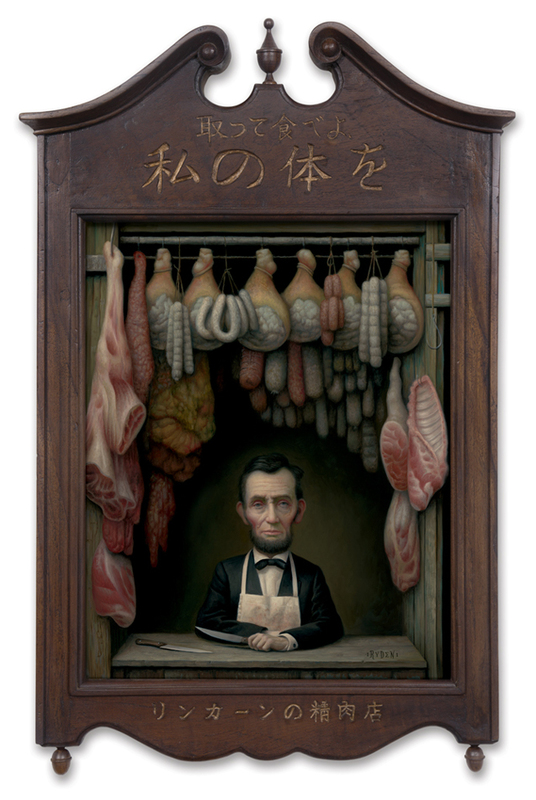 Ryden has trumped the initial surrealist strategies by choosing subject matter loaded with cultural connotation. Ryden’s vocabulary ranges from cryptic to cute, treading a fine line between nostalgic cliché and disturbing archetype. Seduced by his infinitely detailed and meticulously glazed surfaces, the viewer is confronted with the juxtaposition of the childhood innocence and the mysterious recesses of the soul. A subtle disquiet inhabits his paintings; the work is achingly beautiful as it hints at darker psychic stuff beneath the surface of cultural kitsch. In Ryden’s world cherubic girls rub elbows with strange and mysterious figures. Ornately carved frames lend the paintings a baroque exuberance that adds gravity to their enigmatic themes.